This is chapter three for Chris Paul. I’ve been following this guy his entire career, so there’s no question how excited I am about this upcoming season. I’ve had all summer to think about this new situation with the Rockets, and the more I think about it, and the more I watch the team play together, the more fascinated I am by what’s coming. 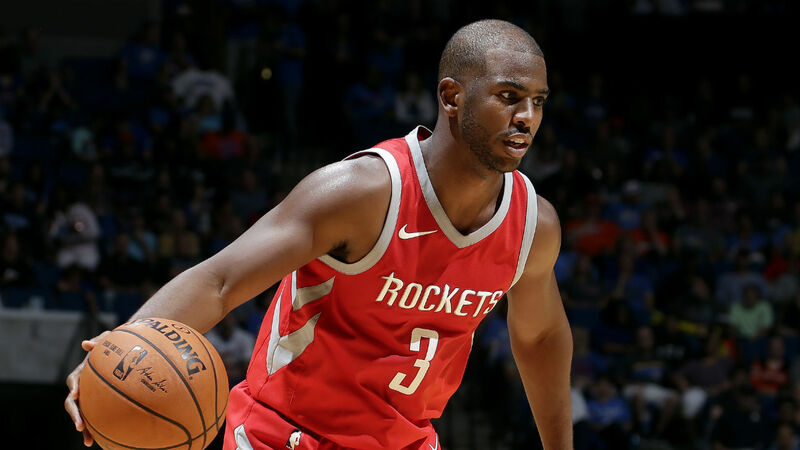 After watching what the Rockets did last year, and then watching how Paul blended in with that style during the preseason, it has me anxious for Tuesday night, when the season kicks off. I watched a team who always had a superstar point guard on the floor: it was more like watching a wrestling match with the two powerhouses, as they tagged each other in and out, while also sharing the court and playing off-ball for each other. It was only a small portion-size to observe, and it means absolutely nothing in the preseason, but it was still interesting to watch those dynamics in action. It seemed like whoever else was on the court next to Paul and Harden was a knockdown shooter, and threes were raining from all sides of the court. As far the rotations, for the first time in Paul’s NBA career, I didn’t see a team with a traditional starting lineup and a second unit. Instead, I constantly saw guys rotating in and out of the lineup. Because the roster has so many players that can play a variety of positions, there was never the traditional point guard for point guard, center for center type of subs. It was a beautiful thing to witness. Tuesday night, the opening night for the NBA regular season, they’ll be playing the Warriors. Will these rotations matter? Will Paul teaming up with Harden and company turn out to be a smart move? I think so (shooters everywhere, and a scorer like Harden, that can takeover a game by himself, who was a few votes away from winning MVP last year). Paul had nothing to lose by going here. All upsides. And when this season is said and done, it’s the final year on Paul’s contract (same for LeBron and Wade), so whatever happens doesn’t remove the options for Paul going forward. Consider it a trial year, to stay or go, and Tuesday is the beginning of just that.